Last year and the starting quarter of this year, we’ve seen a flood of Windows 8 running laptops and ultrabooks and also the super speedy laptops (running on other OS). But still the combination of hardware and software is not well enough to make a good laptop. If you go out or check for best laptops 2013 online then you will be very easily confused with the number of options available. So you must be looking for some reviews in order to get a list of five best laptops 2013 directly. I’m here with the list five best laptops 2013 that will help you saving lots of time. I personally own this laptop manufactured by Sony and it is very impressive in its performance. It is packed in with Intel 3rd generation Core i5 processor with 4GB RAM and 750GB hard drive storage. There is dedicated 2GB graphics card too for best graphics performance. It comes preloaded with Windows 8 OS and has got 15.5 inch HD display with resolution of 1366×768 pixels. There is one 1.3MP HD camera in front and Wi-Fi and Bluetooth are there for wireless data connectivity. Battery life is also very impressive as it is packed in with 6 cell battery. It weighs about 2.7Kg and available at Rs 49,990. Next Best Laptops 2013 one is from Lenovo running on Intel Core i5 (3rd generation) processor with clock speed of 1.7GHz and 3MB cache memory. It is packed with 4GB DDR3 storage and 500GB hard drive storage. It is coming with Windows 7 home basic pre installed and got 14inch HD LED display with HD resolution. It also got 1GB NVIDIA’s graphics card to meet the graphics requirements of users. Rest of the data connectivity features are all there and its battery life is very impressive (6.5 hours). You can buy it at Rs 53,972. 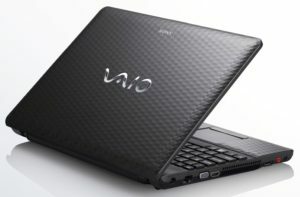 A very impressive design, good performance and average battery life are the main attractions of this laptop from Dell. It is packed in with Core i5 processor, 4GB RAM and 500GB hard drive storage. 1GB graphics card is also there to meet the graphics requirements and it operates on Windows 7 home basic but I think you can upgrade it with Windows 8. Display size is 14inch and battery life is about 4 hours. You can purchase it at a price of Rs 51,309. Another gaming laptop in the lineup, in fact it’s an ultrabook from ASUS. It has got Core i5 processor with clock speed of 1.7GHz and 4GB RAM with 750GB hard drive storage. It operates on Windows 8 OS and available with 15.6 inch display on LED backlit panel. It also packed in with 2GB of DDR3 NVIDIA’s graphics card. Battery life is not very impressive but as it got all the data connectivity and other traditional high end laptop features so I included it in the list here. You can buy it at Rs 57,999. Last but not the least, laptop from Dell under the Vostro series, it is packed in with Core i5 processor and 4GB DDR3 RAM and 500GB hard drive storage. It operates on Windows 8 operating system and its optical drive is capable of reading Blu-ray disc easily. It has got 15.6 inch display with Intel HD graphics 4000 to meet up the graphics requirements. Rest all the connectivity features are there in the laptop and you can buy it at a price of Rs 40,199.